Charlie Apicella & Iron City’s fifth record is a testament to the band’s 10th anniversary as they approach their 2,000th gig milestone. In the spirit of legendary organist Jack McDuff, this hard bop burner transports you to the soulful, toe tapping, smoke-filled rooms of life on the Chitlin Circuit! One Night Only: a tribute to Jack McDuff was featured WBGO Radar, Michael Bourne’s Blues Break, and Jazz After Hours on Public Radio International. 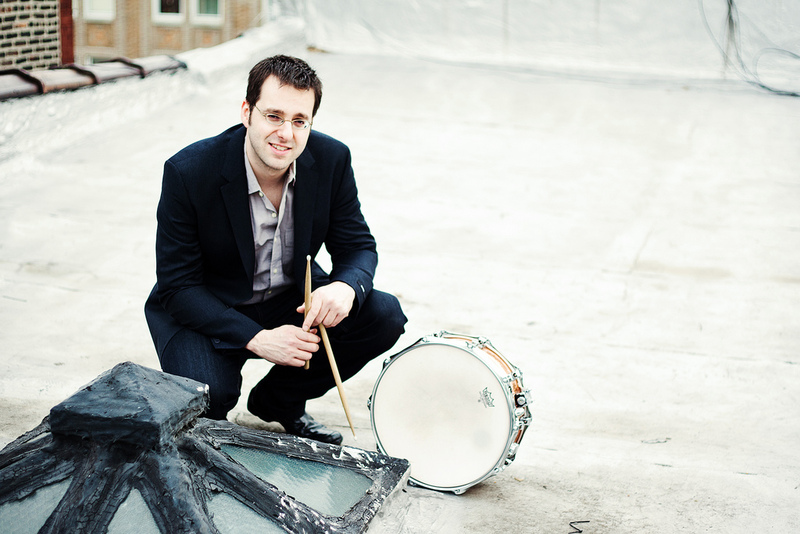 Charlie Apicella has been mentored in improvisation and composition by Yusef Lateef, Pat Martino, and Dave Stryker. Charlie Apicella is an Eastman Guitars Featured Artist, a Guild Guitars Sponsored Artist and a ZT Amplifiers Official Artist. He is a regular contributor to Vintage Guitar Magazine‘s YouTube channel. 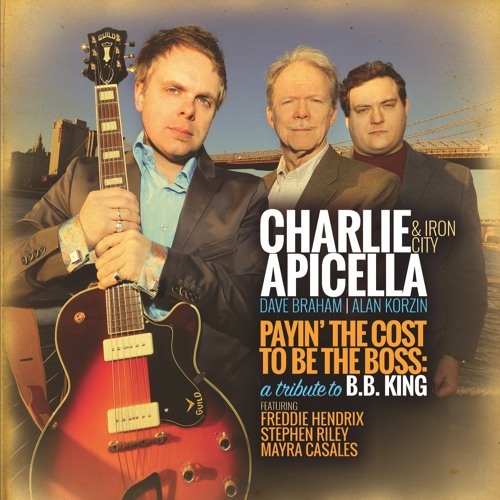 “New York’s Apicella is a big time soloist an comping artist and his strengths shine on his latest. BLACU is Jazz-influenced instrumental band based in Brooklyn, New York. A band formed by guitarist Yusuke Yamanouchi(Tokyo, Japan), drummer Sohei Oyama(Kyoto, Japan) in 2017, New York City. Sohei Oyama is a professional drummer / percussionist born in 1984, Kyoto, Japan. His first experience with musical instruments was the Japanese traditional drum called the WADAIKO when he was 6, and he started his music career as a drummer at the age of 11. After he won the best drummer award hosted by the local YAMAHA music school, he moved to Boston, MA, where he received a scholarship at Berklee College of Music in 2004. In the past 13 years, he has been a band member of THE RiCECOOKERS as rock drummer, recording, performing and touring in the US and Japan. 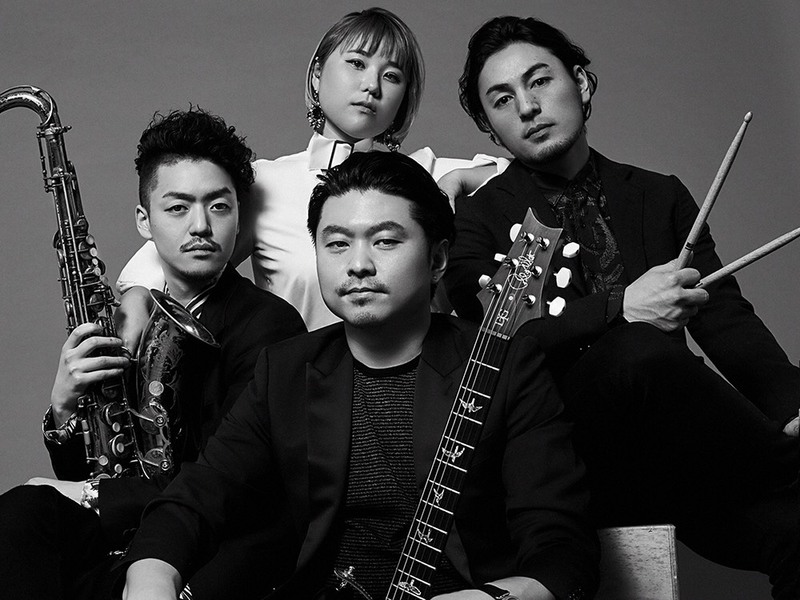 In 2017, Sohei formed his own band, BLACU, with guitarist Yusuke Yamanouchi, based in NYC, where they would perform at local bars and venues. Sohei now resides in Brooklyn, NY. Ruby Choi is a professional singer-songwriter and recording artist based in New York. She studied under Gretchen Parlato and Theo Bleckmann at the Manhattan School of Music with a Master’s degree in Jazz Performance. However, Despite her formal education in the genre, she is not always loyal to Jazz: her love for music embraces other genres, such as Neo-Soul and Electronic. He was born in 1992 in Sapporo, Japan. He started playing saxophone when he was 7 years old. He attended Berklee 5 weeks program in 2007, 2008, 2009 as a full scholarship student and he was selected for Berklee Jazz workshop directed by Terri Lyne Carrington in 2010. Now he started collaborating with different kinds of art for example fashion, architecture, painting, plant art, though his music. Especially, he is interested in collaborating with fashion and he has been working with the art magazine named “Metropolitan Society”. As a crew of Metropolitan Society creative team, he was modeling/styling for collaboration with Engineered Garments and own project “Lonely Traveler”. Also He started working as events producer. He produced “”Jazz Summit Tokyo Summer Festival 2015‘ as a first step of his producer career. Born in Osaka, Japan, Yayoi started her musical studies on piano at three years old, and a few years later began her practice of Shigin, a traditional Japanese operatic form of poetry recitation. In her teenage years Yayoi’s Shigin vocals garnered much recognition, including her renowned 1996 Festival Hall performance for King Records. She was a finalist at the Osaka Prefecture Shigin Festival (Osaka Fu Rengo Shigin Taikai) every year from 1996-2001 and was runner up in 2002-03. Yayoi was also a finalist at the prestigious Japan National Shigin Competition (Aiokoku Rengo Shigin Taikai) from 2000-2004. Concurrently, Yayoi performed vocals in the Osaka club scene improvising with major Drum n Bass and House Music DJs at Club Down, Joule and elsewhere in the late 1990s. In 2000 she won the Kansai region in an a cappella competition sponsored by Sony Music. Yayoi taught Shigin for several years while she expanded into to her new love, jazz. She began working with notables such as Yoshio ‘Chin’ Suzuki (Art Blakey & The Jazz Messengers), Hisatsugu Suzuki and many others. Yayoi was also featured on a Jazz Bank label compilation release in 2002. After arriving in New York, Yayoi studied with Karrin Allyson, J.D. Walter, Eri Yamamoto, David Hazeltine, and Jeannette LoVetri. She was also selected to participate in Bobby McFerrin’s workshop at Carnegie Hall in the Spring of 2008. Yayoi released her debut album Introducing Yayoi in late 2009. Along with her nationwide tour of Japan,Introducing Yayoi was featured in the press and on radio broadcasts throughout Japan, including a 2 hour special with Yayoi on FM Kanagawa. Yayoi became a mother, giving birth to 2 beautiful daughters. Yayoi is currently completing her second 2nd featuring her original compositions and brought to life by an amazing group of musicians including : James Hurt, Lars Ekman, Quincy Davis, Marvin Sewell, Akihito Obama and special guests. Look for it in 2018 !